Compact with huge personality, the Mercedes-Benz GLA SUV is designed for drivers who truly feel at home behind the wheel. The GLA is boldly styled, nimble, and “surprisingly roomy,” according to Kelley Blue Book. Under the hood, you’ll find a turbo 4-cylinder engine for sky-high fuel-efficiency, and a dual-clutch automatic for quick-witted handling. Front foglamps, Brake Assist, and optional Lane Keeping Assist offer first-rate protection. Meanwhile, the spacious interior cossets you and your four passengers with dual-zone climate control, a color display screen, and a convenient power liftgate. If an affordably priced, luxury SUV seems like just the thing for you, look no further than our used Mercedes-Benz GLA inventory. You’ll be amazed at all a used Mercedes-Benz GLA can offer! 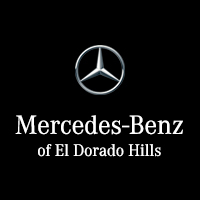 The friendly experts at Mercedes-Benz of El Dorado Hills can help you choose the right GLA SUV for you, apply for financing, and more. Our mission is to make every transaction as transparent as possible for Rancho, Cordova, and Folsom shoppers. Should you require OEM parts and/or accessories in the future, our authorized parts and service center has you covered. From engine components and fluids, to wheels and electronics, our Master Certified Technicians can install the upgrades your vehicle needs to continue performing at its best. To take a used Mercedes-Benz GLA for a test drive, schedule your appointment online today!